Amazon rolled out an update this week which adds the long-promised Alexa virtual assistant to late-model Fire tablets. Lucky Fire owners can now use Alexa to get weather and traffic updates, order products from Amazon, get questions answered, stream music, and even listen to audiobooks being played or Kindle ebooks being read aloud. The update first started arriving a few weeks back, and now Amazon is officially rolling out the update to all 5th and 6th generation Fire tablets. This includes the $50 Fire tablet as well as the Fire HD 8 and Fire HD 10 tablets which shipped in 2015 and 2016, but not earlier models. The update should automatically install on compatible tablets, but of you don't want to wait you can download the update from the Amazon website. You can use Alexa on your Fire tablet to ask questions, shop, search, play music, and more. To activate Alexa on your Fire tablet, hold the device Home button until you see a blue line. When you see this, Alexa is ready and you can give a command or ask a question. You do not need to say “Alexa” when you do this. Visit https://www.amazon.com/help/alexa/thingstotry to see some phrases you can use with Alexa.Note: Alexa will be disabled if you have any Parental Controls turned on for your Fire tablet. You cannot use Alexa and Parental Controls at the same time. Alexa does not work within child profiles on your Fire tablet. I’ve tried Alexa on my tablet, its seems to work OK, but its very limited. For example, I found a way to send simple, limited SMS messages, but not normal messages. Haven’t found a way to send an email or read emails. Works great for weather, traffic to work, and news headlines. I think Alexa is US only. My UK Fire HD 8 (2016) updated and the Alexa icon is there but there is no voice recognition at all. However, in the Alexa app it says the HD 8 is supported. 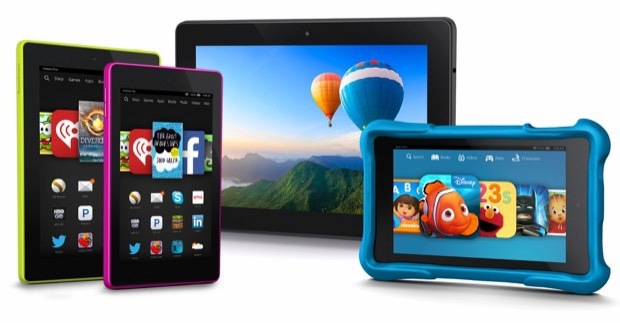 If you go to Amazon websites outside the US, you don’t find ‘Alexa’ being advertised at all for the Fire tablets. Amazon doesn’t even sell Amazon tablets in Canada (I could be wrong). Sorry – I’m referring to no Alexa on the Fire tablets when you press down on the home button. When I purchased my tablet it was advertised that alexa would be free, but now there is a fee? There is no fee to use Alexa to ask questions to it after it is installed.